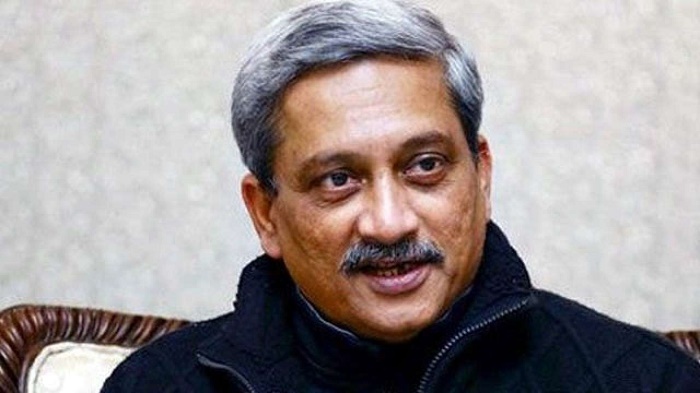 The BJP-led alliance in Goa did not reach a consensus over the next chief minister on Monday, a move necessitated by the demise of Manohar Parrikar. Union minister and senior BJP leader Nitin Gadkari, who arrived here in the early hours of the day, could not secure a consensus between the saffron party and its alliance partners in the state, party MLA Michael Lobo said. While Gadkari was not available for comments, BJP MLA Lobo said Maharashtrawadi Gomantak Party (MGP) MLA Sudin Dhavalikar wanted to be the chief minister due to which the discussions came to a halt. "Sudin Dhavalikar wants himself to be the CM, while the BJP wants that the leader of the alliance should be from their camp. We could not reach to any decision," Lobo told reporters outside a hotel after a night-long meeting. Lobo said BJP MLAs have suggested the names of Vishwajit Rane and Pramod Sawant for the post. Earlier, Goa Forward Party (GFP) chief Vijai Sardesai, emerging from the meeting, had said that the parties were yet to reach a conclusion. The meeting was inconclusive and "the BJP has informed them that they will get back later during the day," Sardesai had said. He said the parties expressed apprehensions on how to proceed in the absence of Parrikar. "We are expecting them to respond to our apprehensions soon," he added. The GFP leader, however, said the party had not yet shut its doors on the BJP. Sardesai was accompanied by his MLAs, Jayesh Salgaonkar and Vinod Palyekar, and Independents Rohan Khaunte, Govind Gawade and Prasad Gaonkar. Meanwhile, speaking to reporters, Dhavalikar said that Gadkari held one-on-one meetings with the MLAs and asked them certain questions. "I can't disclose about the questions as they are confidential. We are expecting Gadkari to announce name of the CM candidate in the next one hour. The MGP will take proper resolution supporting the government after that," he said. The MGP MLA added that Gadkari had heard each of the MLAs individually and would soon announce a new leader. With the demise of Parrikar, the strength of 40-member Goa Legislative Assembly has been reduced to 36. BJP MLA Francis D'Souza died last month, while two Congress members had resigned last year.